Sister Marlene said, at least in her case, answering a call requires a bit of an adventurous spirit, a little courage and a willingness to take some risks. 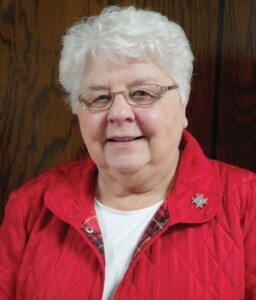 Throughout her life, she has been called in numerous directions, from working as a music educator in diocesan schools and at Viterbo University to being trained as a canon lawyer for the Diocese of La Crosse. She’s taken on leadership roles for FSPA, as well as for the Leadership Conference of Women Religious. However, her most recent call came in the form of a literal call …from the White House. Sister Marlene said she never dreamed that she would be involved in human trafficking work in any form, but through her willingness to be open and to accept the training and immerse herself in learning from victims of human trafficking, she knew she had found another passion for her life. Once she accepted her new path, she found every opportunity to share it, especially within our diocese. She said the word is getting out about human trafficking, but she thinks people still need to develop better eyesight because the problem can be right in front of you and you don’t know what to look for. She knows now, looking back, that the call she got from the White House was just the beginning of this powerful calling. For those who are still waiting for their “sign,” Sister Marlene knows from experience that, with the right combination of listening, belief and action, you will find God’s call coming in loud and clear. Faith Help – Is Evangelization Scary?